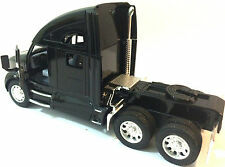 New Kenworth T700 Container Truck diecast model truck cab 1:66 scale. openable doors,Pull back and go action w.10 wheels. I have up for sale a Schuco Modell # 306 875 BMW 3.0 CSL. It is 1:66 scale. TOMICA #24. MAZDA CX-5. Una vez finalizado solicite su factura por todos los ítems. IN ORIGINAL BOX. TOMICA #107. LEXUS IS F CCS-R. Una vez finalizado solicite su factura por todos los ítems. IN ORIGINAL BOX. Tomy Tomica No. 116 (F36) Porsche 956 ISEKI--1/66--Made in Japan--Vintage! Condition: Used. Porsche seems to be in great shape. Stickers are unused (See photos). Made in Japan. No exceptions. No APO/FPO. Original box--creases in box, minor wear (See photos). 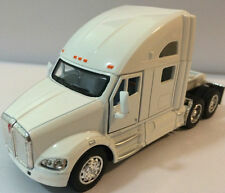 New Kenworth T700 Container Truck diecast model truck cab 1:66 scale. PRICE WILL BE CALCULATED BY WEIGHT. ALL OTHER COUNTRIES. PRICE WILL BE CALCULATED BY WEIGHT. ALL OTHER COUNTRIES. (CARDS MAY HAVE MINOR SHELF WEAR). Tomica #43 Toyota Century (Black with White Interior)--Vintage Collector's Item! Tomica #43 Toyota Century. Condition: Used. As you can see from the photos, the car is in good condition. Black with white interior. Door open normally. Black with White Interior. No exceptions. ZNUG DESIGN OUROBOROS. TOMICA #75. Una vez finalizado solicite su factura por todos los ítems. IN ORIGINAL BOX. We take great in providing good photos. Be reasonable. (I wouldn?t block you, but I would reject it. So be a real person! You get 3 chances on each item, so use them. ). Vehicle Make: Lexus IS. Scale: 1:66. Color: Orange & Black. Material: Die-cast. The backing has many folds and creases and soft edges. It is not in collector's shape. It is sealed. MACK AUXILIARY. FIRE RESCUE. POWER TRUCK. (CARDS MAY HAVE MINOR SHELF WEAR). 1967 Aurora Plastic Corp. Mustang Convertible. 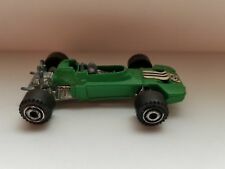 Diecast Chassis. Made in USA. See photos. This is Pre-Owned like new( in good condition). CHEVY BEL AIR. (CARDS MAY HAVE MINOR SHELF WEAR). Bump Around. Hot Wheels. carnival ride is pumped. Keep your hands and feet inside the. It may look like a kiddie ride but under the hood, this classic. HOT WHEELS. These cars are IN Good TO Mint, condition. Year of Car Model : 1966. Vehicle Make : Porsche. Scale : 1:66. Color : Green. Vehicle Type : Car. DODGE VIPER. STARS & STRIPES. PRICE WILL BE CALCULATED BY WEIGHT. ALL OTHER COUNTRIES. M.V. Products Realistic Light Lenses for Models. Eltopia, WA 99330. P.O. Box 309. Teresa & Joel Prantle. Lord Bless You. Matchbox Collectibles. 1957 Chevy Convertible. I started out with all things automotive and collectible. CHEVROLET CAMARO. Una vez finalizado solicite su factura por todos los ítems. IN ORIGINAL BOX. JOHNNY LIGHTNING MUSCLE CARS USA 1970 Super Bee Unopened Free Shipping. JOHNNY LIGHTNING MUSCLE CARS USA. 1970 Super Bee. Authentic Muscle Car Paint Color. Great price so it will go quick. Good Luck ! TOMICA #92. TOYOTA CROWN ATHLETE. Una vez finalizado solicite su factura por todos los ítems. IN ORIGINAL BOX. TOYOTA FJ CRUISER POLICE CAR. Una vez finalizado solicite su factura por todos los ítems. IN ORIGINAL BOX. Looks like it was only used for display. Add this Die-cast to your Collection! W e have looked at it carefully and do not see any blemishes with the naked eye. Schuco Modell Porsche 911 S Late 1960’s. Condition is New. I bought this item at the factory store in Furth Germany, back in the 1980’s. It has only been on display in my collection. On the bottom of the car it has some of the cars specs. The doors open and you can see the details of the interior. Made in Germany. SPEED DOZER. HW CITY WORKS. (ORANGE VERSION). HOT WHEELS. MADE IN MALAYSIA, BLACK PLASTIC BASE. This is a 2017 Hot Wheels '17 Ford GT (#166/365)(HW Speed Graphics)(). 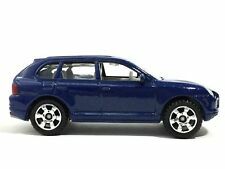 MATCHBOX 2011 Porsche Cayenne Turbo 4Door SUV - Scale 1/64- Loose! NO BOX!